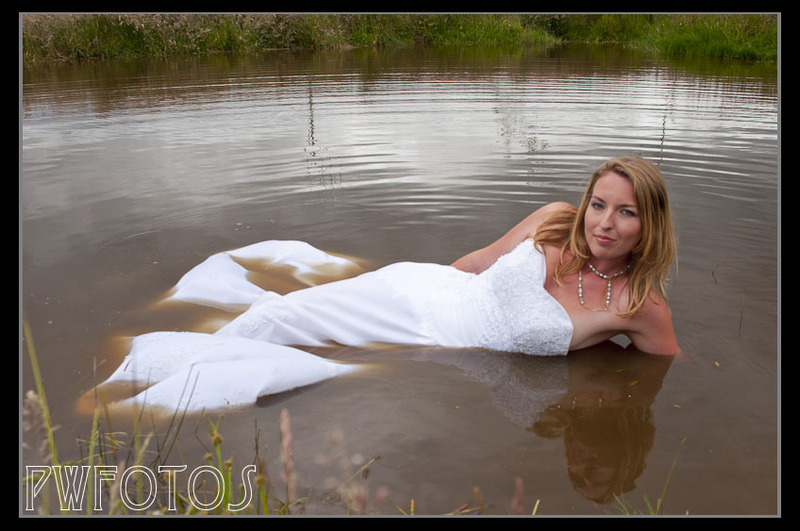 “Trash the Dress’ is a concept that arrived from America a number of years ago. Basically it is a series of photo taken of the bride in her gown well after the wedding in which she does things that would send her into major fits if they were done on the wedding day. They do necessarily involve water, but given our proximity to it they generally do. 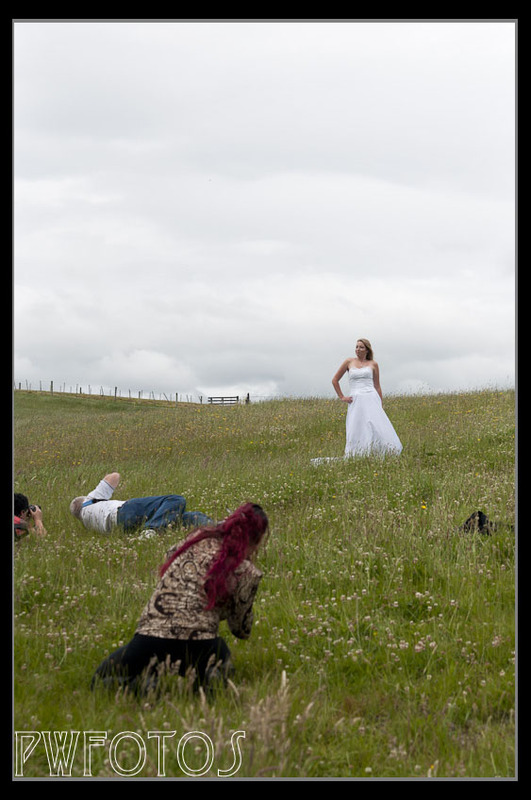 Some months ago a Facebook group was set up to encourage photographers to get together and stage some shoot. 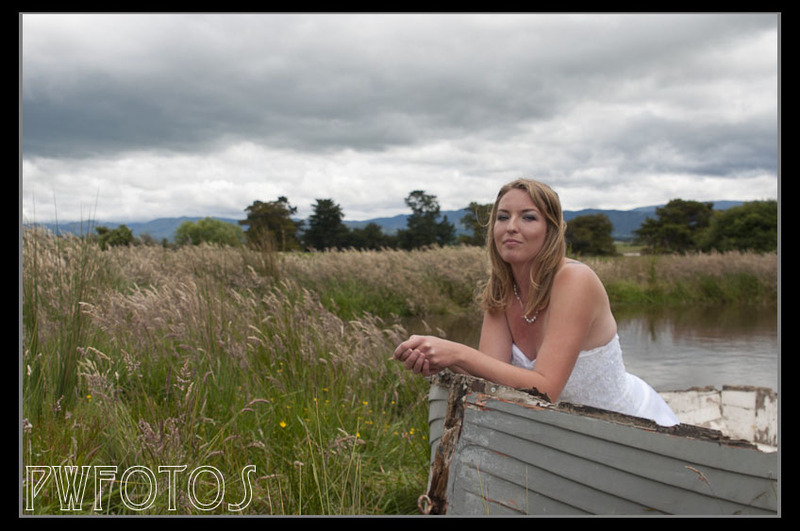 The closest one to me was organised for Greytown in the Wairarapa by Masterton photographer Liz Rikiti. Liz really excelled arranging for 7 models, hair and makeup and an excellent venue fully catered that gave up a wide range of different locations to shoot in. She spent months buying dresses on TradeMe. 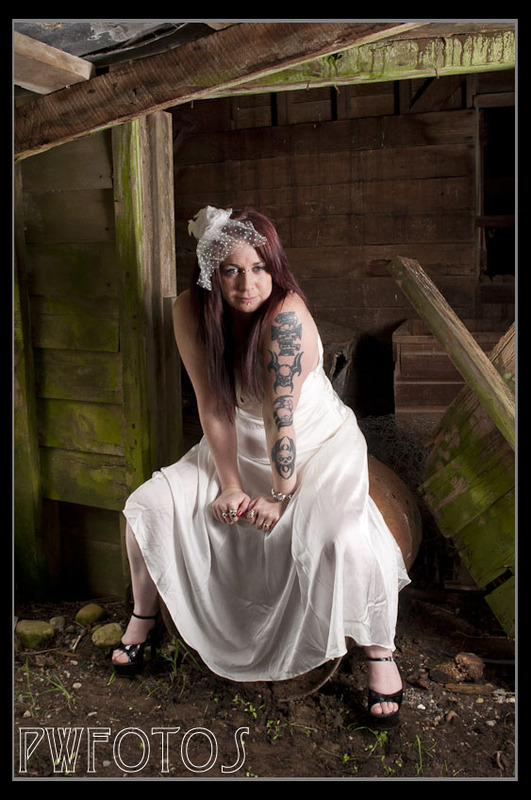 In the morning we concentrated on shots that were slight more traditional in that the dresses did not get too soiled but then after lunch it was all on with our “brides” ending up in a pond, in mud and in the creek. At the end one was even covered in paint, which unfortunately I was not able to stay around for. All of the girls were great and all seemed to be having a lot of fun, which ultimately is the whole idea behind a TTD shoot. Although the images below were taken in a workshop situation, so it is likely you will find similar ones on the internet, in all cases the models were posed by me.